The Summer Camp Guide contains several paid sponsors. Our Summer Camp Guide will be updated often. Please Check Back For Added Camps, Dates and Information. The Summer Camp Guide is for informational purposes only. We will keep the guide updated regularly to assure our information is up to date and relevant. Prices and offerings are subject to change. This list originally appeared on LAKECOUNTRYFAMILYFUN.COM and may not be reproduced, duplicated, or republished without permission. Thank you! Want to add your summer camp to our guide? Summer is just around the corner and Lake Country Family Fun has put together our super resourceful and handy Summer Camp Guide! In this guide, you will find local camp information and links. The information is presented in tabs – one for sponsored camps, one for Vacation Bible Schools (VBS) and a tab listing all of the Waukesha County area school district summer school links for your easy reference. We’ve got you covered! 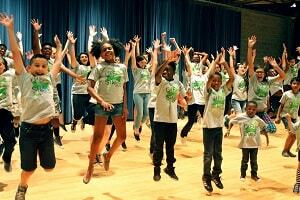 PREMIERE SPONSOR Good Times Day Camp is the PREMIERE sponsor of the LCFF Summer Camp Guide. Good Times…Where happiness and wonderment come to play. Give your child a summer to remember! An alternative to traditional indoor childcare. 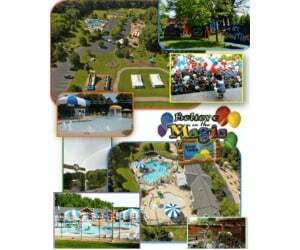 15 acres, two heated pools, several athletic fields…just a few reasons 90% of our campers return year after year. Enjoy totally flexible scheduling that let’s you decide when to come. Simply choose the number of days you would like to attend and then come whenever you want. Today doesn’t work? Come tomorrow! You decide! We are so much more than just a sports camp! Onsite high school level coaches, swimming every day, and field trips included! Where challenges are met, goals are accomplished and friendships and memories made last a lifetime! Bussing available to and from Good Times serving locations in Hartland and Brookfield. Call today to schedule a tour 262-521-8100! Art, Outdoor, STEAM, Wrap Around Care Available, Theatre/Music, Martial Arts, Field Trips, Dance, Early Registration Discount, Academic, athletics, enrichment, etc. TITLE SPONSOR Brookfield Academy Summer Camp is a TITLE sponsor of the LCFF Summer Camp Guide. Brookfield Academy’s Summer Days program offers a variety of classes and activities for any students ages 4-18. Whether it’s learning or keeping up with math, English, grammar, science, languages, and writing, or making tasty treats, flying drones, creating unique art, playing a favorite sport – Summer Days has something for everyone! Check out some of our newest classes including: Animal Explorers, Archaeology, Cake Boss II, Dance, Dinosaur Dig, English Challenge, French, Geology, Finance, Jazz Band, Keyboarding, Mandarin, Marine Biology, Math Challenge, Piano, Princess Party, Slime Camp, Space Explorers, Spanish, StemQuest, Suzuki Violin, Wizardry Camp, and more! Questions? Contact Julie D’Arruda at Julie.d’arruda@brookfieldacademy.org or call 262-783-3200. TITLE SPONSOR Gals Institute is a TITLE sponsor of the LCFF Summer Camp Guide. Workshops and events are lead by licensed clinical staff trained to work with kids and teens. Gals institute events are focused on building resiliency and confidence. All events require a completed waiver and registration form to participate. See dates and details at galsinstitute.com events page or call 262 337 9770. TITLE SPONSOR Lake Country Playhouse is a TITLE sponsor of the LCFF Summer Camp Guide. **Additional dates may apply for performances. TITLE SPONSOR Oconomowoc and Delafield’s Best Summer Camps are a TITLE sponsor of the LCFF Summer Camp Guide. Imagine how much FUN your child is going to have each day in camp while making new friends and participating in all of these awesome activities! • Trips to the Park! TITLE SPONSOR Petite Pas Ballet Storybook Ballet Camps is a TITLE sponsor of the LCFF Summer Camp Guide. Our storybook ballet camps are filled with joy, dancing, amazing art projects and fun! Parents/guests are invited to an in-studio showcase on the final day to celebrate a beautiful camp week. Camps are Monday – Friday from 9 – 11:30am. TITLE SPONSOR Red Arrow Camp a TITLE sponsor of the LCFF Summer Camp Guide. Red Arrow Camp is the camp that time forgot. Red Arrow offers a traditional, single-session summer camp experience for boys ages 7 to 16. Located on the beautiful shores of Trout Lake, Red Arrow’s program of challenge and adventure provides boys an unmatched opportunity to develop confidence and learn new skills while having the summer of their lives. The Red Arrow experience is truly like no other. Built on traditions started more than 90 years ago, Red Arrow is an escape from the craziness and stress in the modern-day lives of our boys. Televisions are replaced with pine trees, log cabins, sports fields, and canoes. Video games give way to real live adventures in the wilderness of the Northwoods. The call of the loons and the crackle of a campfire replace the noise of the city and the blare of an iPod. Laptops turn into ping pong paddles and iPads into pen and paper. Here at Red Arrow, boys become unplugged from the everyday routine, and tuned into the wonder of nature, the satisfaction of hard work, and the magic of enduring friendships. Contact Director Eric Roche directly for more information at eric@redarrowcamp.com or call 920-728-2101. Entering 2nd grade to entering 7th grade. 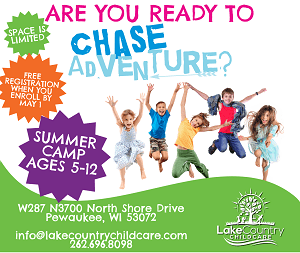 TITLE SPONSOR Waukesha County Salvation Army Summer Camp is a TITLE sponsor of the LCFF Summer Camp Guide. Ours is one of Waukesha County’s least expensive and most rewarding Summer Day Camp programs. Your son or daughter will have loads of fun and make new friends, while continuing to learn and grow all Summer long. Convenient– in downtown Waukesha near the hospital– close to swimming pools, parks, the library, the museum and other interesting, educational field trips, both in and out of Waukesha County. Wrap-around care available. Learn how enjoyable our Summer Day Camp experience can be — at The Waukesha County Salvation Army! For more information contact Cheri Winchowky at 262-547-7367, ext 238 or email cheri_winchowky@usc.salvationarmy.org.. TITLE SPONSOR YMCA Pabst Farms 2019 Summer Day Camp is a TITLE sponsor of the LCFF Summer Camp Guide. field trips and activities that promote confidence, character and self-esteem. friendships you make and the experiences you have will last a lifetime. 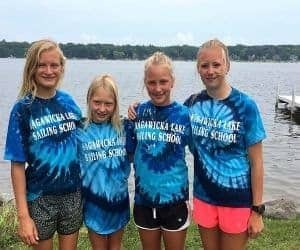 Nagawicka Lake Sailing School provides an opportunity for families both on and off the lake to participate in sailing activities. We have classes for youth and adults age 5+. The boats we use are the small Optimist sailboat (5-14 years old), X Scow (9-16 years old) and 420 (14+ for high local school racing). Classes and 1 week camps run at various times June thru August, dates and times are on our website. Adult classes can be in group or individual generally Monday nights or by appointment. There is no better way to spend summer but on the lake! Questions related to classes directed to Jana P 262-565-8711. Late pick-up, until 5 pm, can be arranged for $25 per week. Advanced registration required. Make this summer go down in history! 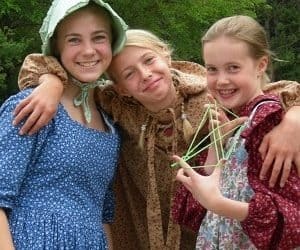 Set in the beauty of a Wisconsin State Forest, nestled among historic buildings, these camps will be adventure-filled, educational, and of course fun! Summer Camps include: A Grand Adventure, Time Travel Adventure, Little House Adventure, and A Maker’s Adventure. Space is limited – register today! First Stage Theater Academy offers summer theater training for students entering K4 – 12 in the fall. Students will learn Acting, Musical Theater, Improvisation, and more from professional theater artists. Locations in Milwaukee and Brookfield. Registration open – book before classes fill up. Early registration prices before April 30th! UWM at Waukesha Summer STEM College for Kids camps are designed to meet the needs of highly motivated children interested in the STEM subjects between the ages of 8-14. We are eager to provide safe, fun, hands-on learning that will provide a foundation of skills that students will continue to build upon throughout their lives. These main skills: Communication, Collaboration, Critical Thinking and Creativity are the 4 C’s that employers are looking for. Our goal is provide students with these key skills needed for success and individual growth. Check our website for more in-depth workshop descriptions and schedules! iD Tech is the world leader in summer STEM education, with 400,000 alumni since 1999, and 150 prestigious campus locations including Carroll University, Marquette, University of Wisconsin – Madison, Stanford, and NYU. Students ages 7-19 learn to code, design video games, design Fortnite-inspired levels, mod Minecraft, create with Roblox, engineer robots, model and print 3D characters, work with AI and machine learning, and more! Weeklong, day and overnight summer programs that instill in-demand skills and embolden students to shape the future. Just 5-10 students per instructor (maximum 10) so students can enjoy personalized learning at their pace. Registration open – book today! We know how important it is for children to have fun and explore during the summer. We also understand the impact of the dreaded summer slide – the equivalent of one month of overall learning and two months of reading skills are lost after summer vacation. Our philosophy is rooted in the ability to help curb the summer slide as much as possible, while still having fun and exploring the outdoors! Lake Country Camp runs daily from 8 a.m. – 5 p.m. Wrap Around care is available. Weekly field trips included. Concordia Soccer Academy (CUWSA) provides an excellent opportunity for players (ages 8-18) to work individually on their soccer skills as well as collectively on their tactical awareness. All camps take place on the beautiful, up-to-date and secure grounds of Concordia University in Mequon, Wisconsin and are run by experienced and quality coaching staff from the university. 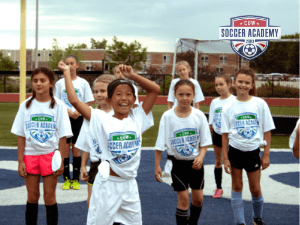 CUWSA offers a variety of camp options, including full camp (3 days/2 nights) sessions and one day camp options. All sessions are packed with skill training and fun social activities. Classes are for 8-12 year old. If you have 5-7 year olds who are intersted, email Pam. Registration open – book a class today! Cooking, The Summer Camp is for kids, but Chef Pam offers cooking classes for adults, corporate events and parties! What could be more fun then a day or a week long cooking camp learning new cooking techniques and recipes with Chef Pam. We will make a savory item and a sweet item to round out our two hour class from 1-3 pm. Let’s call it our learning lunch time together! Sign up for one day or all four days. Classes are for 8-12y/o. If you have kids ages 5-7 y/o and are interested in Chef Pam setting up a camp please email her, will need a minimum of 2 to hold a class. Hope to see you all at Chef Pam’s Kitchen this summer! Email Chef Pam – pam@ChefPamsKitchen.com with days/dates you would like to sign up for and an invoice will be sent to you for payment. Or simply visit the website for more details. Camps start at 10:00 AM and ends at 2:30 PM. Our fun filled creative camp includes the following (ages 6-12 welcome), instruction and all materials to paint a canvas, wood board and ceramic paintings along with STEM activities. They will also learn the basics of art, activity time and grow in knowledge and confidence with several art concepts. New also STEM activities and projects with Challenge Island! Healthy snack and drink provided. Doors open for drop off at 9:45 AM. Two hour classes and open paint for kids and families all summer long. Private parties available too. Registration now open until classes are filled. Wee Know School’s Camp Lotta-Fun has the perfect combination of outdoor and indoor activities for children ages 2 ½ to 11 yrs. Our large backyard offers a sand pit, bike path, water play areas and plenty of room for group games, nature hikes and picnics! Weekly field trips are a hit with our school-age children. Monthly “In House” specials and weekly enrichment options are offered. We wrap up each summer with our “Family Fun Night”, a themed outdoor party for all of our Camp Lotta-Fun families! 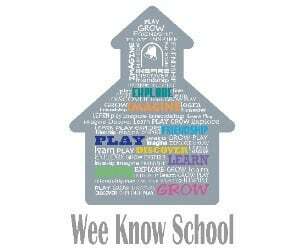 Wee Know is open from 6AM to 6PM Monday through Friday. Families may choose our “Morning Camp” or schedule “Extended Care” if longer days are needed. DaySpring Summer Camp has a roster that includes cool kids with back-to-back activities for fun and learning featuring this summer’s theme “The Incredible Race”! Flexible scheduling allows you to choose which days and how many days each week you would like to attend. Our FULL DAY CAMP program is available from 6:30 a.m. to 6:00 pm Monday through Friday. Our HALF DAY CAMP (4 hours or less) program is available Monday through Friday. Each week as we explore a new theme, your camper will be enjoying the great outdoors on our 36 acres of beautiful farmland. There will be plenty of time for games, crafts, STEAM projects, and indoor recreational activities in our new facilities! Christian values are a part of everything we do, and great coaches are taking out the suntan lotion, milkshakes, and rolling out the red carpet for a fun summer in the sunshine with YOU! Call today to schedule a tour 262-404-5092! June 17-21 Wild Ride–Here We Go! July 1-3 Dash Across the U.S.A! Does your child love pretending or acting? Maybe they can’t wait to draw or paint. Perhaps singing and instruments make their heart soar. Or it could be their feet just can’t stop dancing. Of course, every child loves to make and eat delicious food. Drama. Art. Music. Dance. Culinary Art. Let your child learn and explore all of these in an art camp centered on the Savior, Jesus. Each day includes Bible lessons emphasizing his saving work for your child. It concludes with a grand finale on Thursday evening when your child helps us host for you an “Evening of the Arts” that will be fun for the whole family. Each summer Camp Lakotah becomes home to hundreds of youth looking for a life-changing experience! Our Day Camp and Overnight Camp programs are unsurpassed in creating a safe, fun environment led by positive adult role models. Our traditional overnight camp program is perfect for the camper who wants to experience it all. Each day is filled with individual and group experiences that meet your child’s personal needs, while building a strong sense of community amongst the cabin. Campers have the opportunity to choose activities that interest them, such as swimming, fishing, archery, disc golf, target sports, and more! Camp Venture-kids entering 2nd through 6th grade in the fall. Junior Venture – 4 years old through those entering 1st grade in the fall. Registration is open and does not close as long as activity groups are not full. High-energy, fast-paced, fun environments. Camp run daily Monday-Friday from 9:00am-3:30pm from June 10 through August 2. Extended care is available daily at 7am and after camp til 5:30pm. Each week is special and exciting because kids can choose their own activities. Register for 1, 2 or 7 weeks. Throw on your camera strap, and buckle your seatbelts! Junior and Camp Venture 2019 takes you on a wild adventure—with elephants and egrets, polar bears and penguins, cockatoos and crocodiles. As you seek out exotic animals, you’ll also find snapshots of real-life encounters with Jesus throughout the Bible. Your kids will go from bewildered to believing as they get Into the Wild! While engaged in new and exciting themed activities which change weekly, campers gain self-confidence, personal growth, and discovery. Belonging to a community, new friendship and memorial experiences are just a few of the things our day and overnight campers gain while participating in rock climbing, gardening, lake activities, group games, arts & crafts and more! Located on 300 acres on Lake Keesus, we love sending our campers home with lungs full of fresh air, legs tired from regular activity, needing a bath from outdoor exploring, and a smile on their face! Since 1959, ARCh Camp Pow Wow has been providing outdoor recreational opportunities for adults and children with disabilities. Located in Menomonee Park, ARCh Camp Pow Wow provides a rustic outdoor environment and a modern lodge building that contains a kitchen, bathrooms, nurse’s office…and air conditioning to help cool off on those hot summer days! Last year more than 200 campers joined us for fun in the sun! Camp offers residential and day camp options for people of all ages and abilities. Campers make friends and develop new skills through experiences in swimming, fishing, canoeing, gardening, fitness, life skills, arts and crafts, recreation, music and nature. For descriptions of each of the nine camps listed in the right hand side, please visit the 2019 summer camp website . Description will explain the class in detail, including take home item. July 8 – 19, Mon. – Fri 2:30p.m. – 4p.m. July 29 – August 9, Mon. – Fri. 2:30p.m. – 4p.m. $190 per student, for each 2 week camp, all supplies included. Aug. 12 – 16, 10:30a.m. – 12:00p.m. June 17 – June 20, Mon. – Thur., 1:00p.m. – 2:30p.m. June 20 and 21, 9am -12:30p.m. or Aug 15 and 16, 9am -12:30a.m. Heritage Christian Schools is proud to announce expanded programs for this summer! From academic course work to enrichment camps, we have more than 40 courses that are taught in a loving, Christian environment. Come join us for a great summer! Discount of $5 per course for registrations before May 6. Summer 2019 is going to be awesome! Keep your kids busy this summer with awesome camps which not only introduce social skills, but also help them grow and learn! Thank you to ALL of our summer camps for hosting great camps for our kids! This guide is split out by tab. All of the summer camps are in the Summer Camp tab listed in the order of Premiere Sponsors, Title Sponsors in alphabetical order and then the other camp listings. Find all things SUMMER here on Lake Country Family Fun’s one-stop Summer Spot Page (lakecountryfamilyfun.com/summer)!!! Look below to find your district 2019 Summer School dates. Lake Country Family Fun is not responsible for the accuracy of information please verify with your school district. 2019 School District of Waukesha Summer School Program will begin on Monday, June 17, 2019 and end on Friday, July 19, 2019. There will be no class on July 4th and 5th. Registration will begin mid-March. Stay tuned for further communication! Summer Academy 2019 will run June 17, 2019- July 26, 2019. No classes on July 4-5, 2019. Course selection will be available in late March 2019. Please contact Amanda Gill at gilla@kmsd.edu with any questions. Dates are June 18 – August 10th. Classes for students in 4K-2nd grade will be at Hartland North Elementary, 232 Church Street, Hartland. Classes for students 3-7th grade will be at North Shore Middle School, 800 E. North Shore Drive, Hartland. Online registration begins March 12, 2018. Before school care is being offered through the Village of Hartland for 4K-2nd grade students who will be attending Summer Splash at Hartland North. Afternoon camp, which is run through the Village of Hartland will be held at Hartland North Elementary for all students of Summer Splash. Students participating in summer classes at North Shore Middle School will be transported by bus to Hartland North for camp. Summer School dates are June 17 – July 26, 2019 (6 weeks). There will be no school on July 4 or July 5, 2019. No transportation is provided for summer school and no shuttle bus service is provided between sites. Important Note – we are not offering Summer School for students entering 4K in 2019. Online registration for Summer School 2019 will be held from April 8, at 6:00 a.m. to April 17, at 12:00 p.m.
We’re hard at work planning Summer School 2019 with new and exciting offerings for Mukwonago students. While final information is not yet available, Summer School dates are listed on the website link for summer school info. Last year there was no summer school. Stay tuned for Summer 2019 plans. Online Registration is Thursday, April 4th starting at 4:30 to Sunday, April 14th at midnight. The online registration takes place between 2/18 and 3/4. Class selection takes places 3/16 through 4/13. The Summer Program will have a different feel as Pewaukee embarks on construction. Dates listed on the webpage. Summer 2019 info coming soon. Registration for 2019 will begin Monday, Feb. 25. Classes held June 19 – July 17. Registration begins April 22 at 9:00 PM. Dates are listed at the website. Summer Semester Dates: June 17 – July 18. Advanced High School Math Course Dates: June 17 – August 6. Registration open dates to be announced. JUNE 17-JULY 17, 2019 from 8:00 AM-NOON at North Lake School. No classes on July 3, 4, or 5. Bus transportation is available to and from North Lake School with pick up and drop off locations at Lake Country, Stone Bank, and Richmond school parking lots. There is no bus transportation for North Lake students. Registration will be open beginning March 18 at 10 a.m.
Summer School will begin on June 17 and will run through July 19 for all students. There will be NO CLASSES on Thursday and Friday, July 4-5. Online registration will begin on Tuesday, March 5th at 8:00 am and close Tuesday, March 22 at 4:00 pm. A change in locations is another exciting announcement! We will now host our incoming kindergarten through second grade students at Burleigh Elementary. Grades three through eight will now be hosted at Brookfield Central High School. Our High School program will remain at Brookfield Central High School. Register online at www.drlc.org and click on the ROAR logo on the homepage. Registration deadline is May 31, 2019 or when capacity is reached. This year‘s theme is Roar” Life is Wild, God is Good”. Questions? Contact annmarie.hahn@drlc.org or at 262-367-8400. Lunch Daily | Interactive Music | Bible Stories | Crafts and Activities | Outdoor Games and Fun! Questions? Contact Michelle at 2626462343. More Vacation Bible Schools Listings coming Spring 2019! Advertise your VBS for $50 only. Email us via the contact form below. Want YOUR camp highlighted in our Summer Camp Guide? Simply reach out to us via email by clicking on the link below and we will send you the Summer Camp Informational Packet!